Construction, renovations and upgrades galore! We've been busy here the past few months, working on several projects to make campus even better than before. 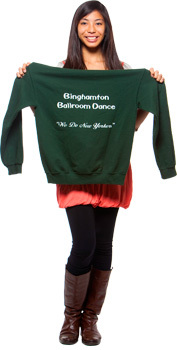 Check out some of the biggest changes you’ll notice when you head back this fall. FitSpace at the East Gym has new fitness machines available for all gym-goers. 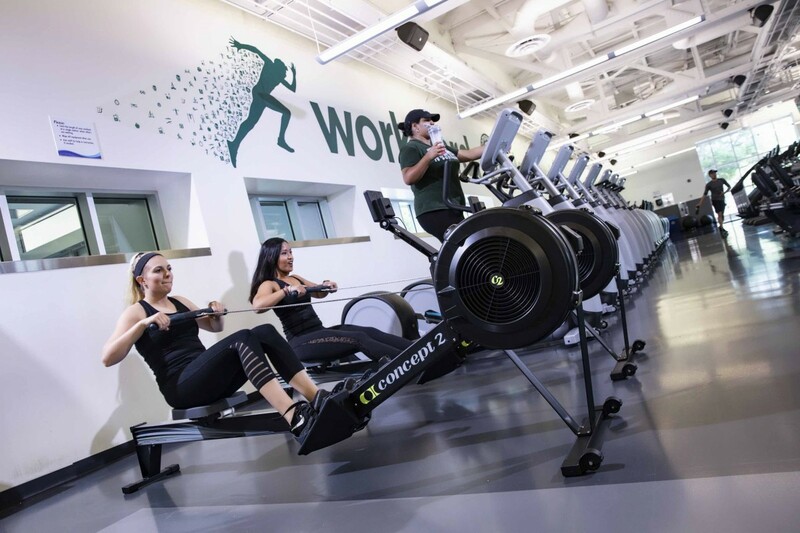 Now, you can get in your best workout on the best new machines. 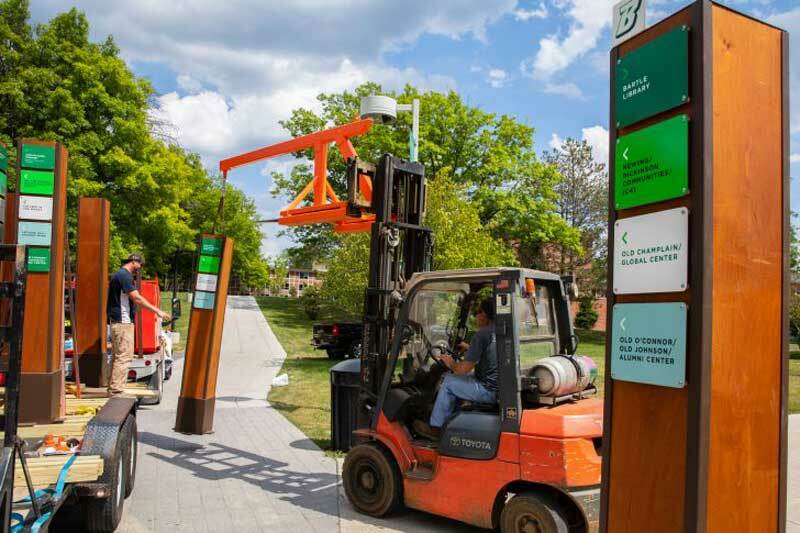 New wayfinding signs have been installed at ten different locations throughout campus to help you get where you need to go. Because this place is kind of enormous. The University Police Department has installed the Alertus Enhanced Notification System on campus. In the case of an emergency, police dispatchers will be able to push a button to send out a B-ALERT to all students and faculty, immediately warning them of an event. No prior supervisory authorization will be required to activate this system, meaning students and faculty will be notified of an emergency situation within the first minute or two of its occurrence. Prepare for a smoooooth ride. 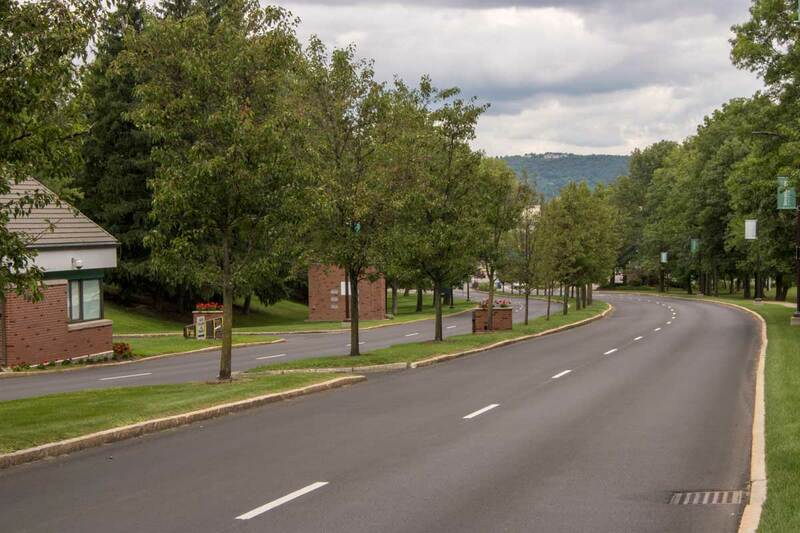 Several areas across campus have been paved, such as the main campus entrance, the drive to the Campus Pre-School and the Institute for Child Development parking lot, the Visitor’s Parking Lot, as well as East Drive, West Drive, Connector Road and Service Drive. Bonus: You’ll notice that several walkways along campus have been paved, too! 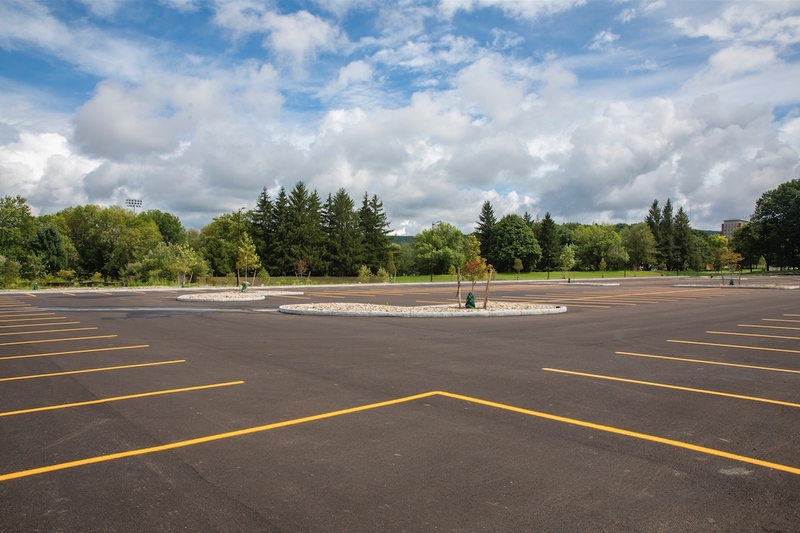 Your prayers have finally been answered -- Binghamton has a new parking lot! Lot G1 is a 24-hour, multi-permit lot to accommodate faculty, staff, resident students, commuter students, and non-affiliated guests and visitors. It's located adjacent to Glenn G. Bartle Drive. Vehicles will enter the lot via the driveway on the east side of the West Gym, sharing the entrance with Lot G, which is located behind the West Gym. 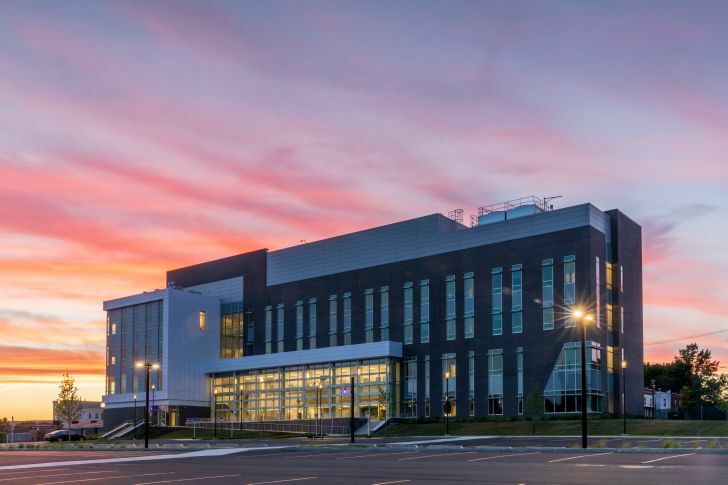 School is officially in session this fall at the brand new School of Pharmacy and Pharmaceutical Sciences, located on Corliss Avenue in Johnson City. The 105,500 square-foot, four-story building houses state-of-the-art research labs, offices for faculty and staff, a lecture hall, classrooms and teaching labs. Renovations to Science 4, home to the psychology department, are complete. 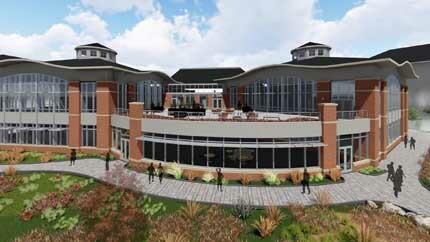 Upgrades include a new entrance to the building, as well as new office space, restrooms and laboratories. Upgrades and improvements have made to several living communities. 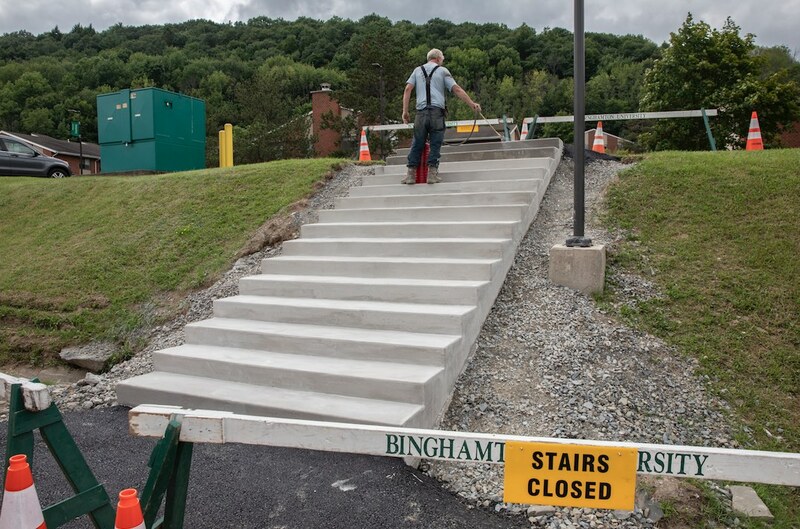 Hillside received new stairs, the railings and decking have been cleaned and resurfaced, and the breezeways have been painted. New sinks have been installed in select Hinman buildings, and Endicott Hall got a fresh coat of paint. 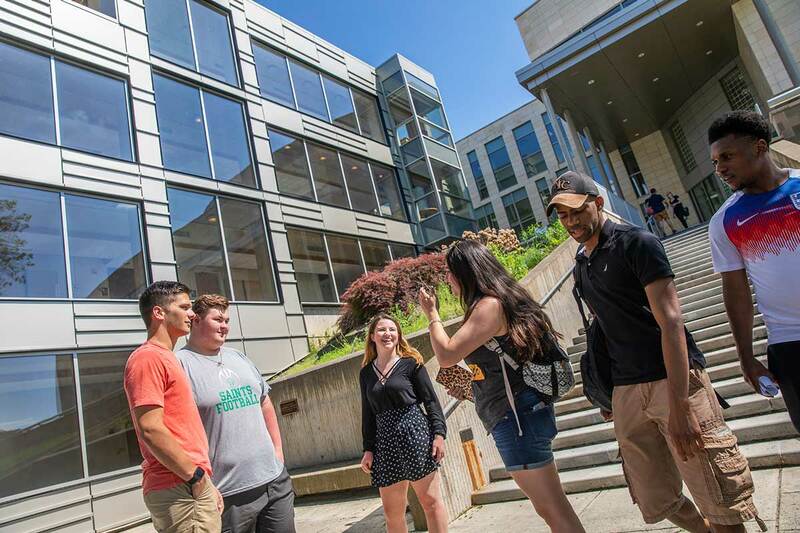 Onondaga Hall will be closed for renovations, expected to begin in September, that include bathroom updates, improvements to lighting and flooring, new paint and exterior masonry repairs. 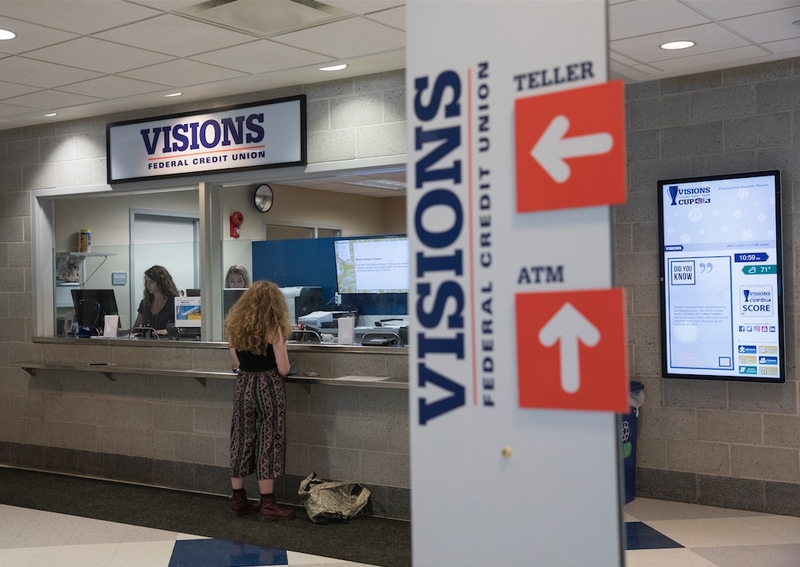 Visions Federal Credit Union has opened a new branch on campus, bringing lower ATM and out-of-network fees, perfect for students who are coming from all over the world to Binghamton. 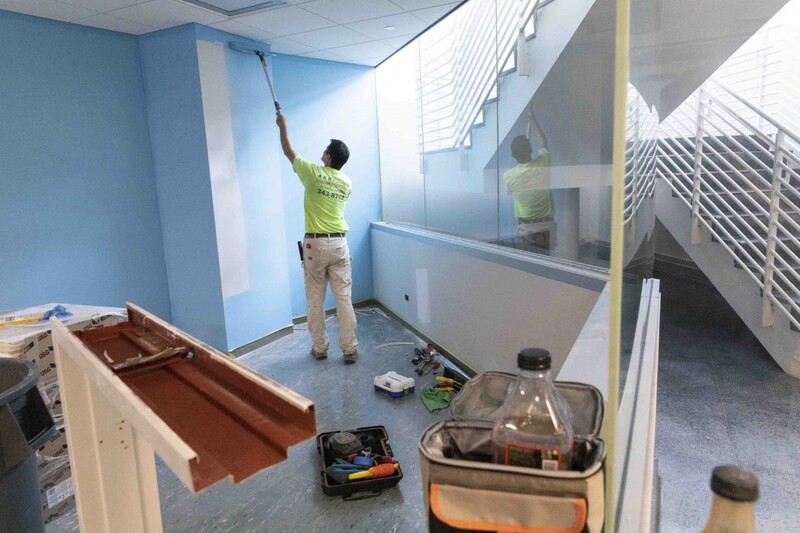 While renovations are being made to the Engineering Building, Watson Career and Alumni Connections (WCAC) has moved to room 103 of Academic A, and will reside there for the next two years. 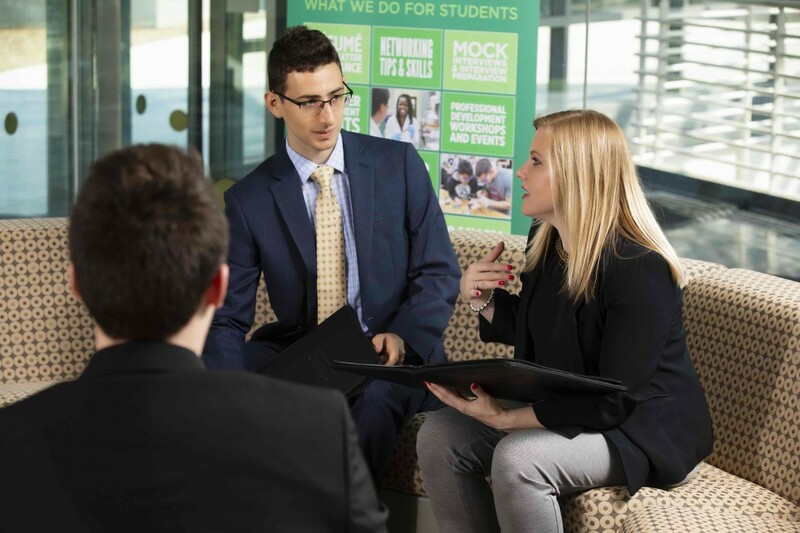 Watson students interested in mock interviews, resume and cover letter review, networking opportunities and other career-related assistance can use hireBING to set up appointments with WCAC. Crews have been working hard all summer to make campus an even more beautiful place to be. You can expect to see gorgeous landscaping, new paved walkways, fresh coats of paint in buildings across campus, and a new Plaza Deck green space. Last, but not least, a brand-new 4,600-square-foot addition to the Chenango Champlain Collegiate Center (C4) will be put out to bid this fall. The expansion will include adding 300 seats, as well as the construction of a new open terrace with additional seating for 230 people. This project will take about a year to complete, but it will be well worth the wait!